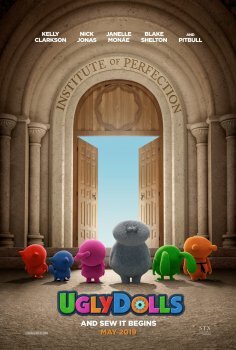 Uglydolls - Available as a download or stream? The twentieth film directed by Robert Rodriguez is the animated “Uglydolls”, based on the popular plush toy. The film has been in development for six years, but STX has scheduled the film for a release in May of 2019 after Rodriguez signed on earlier this year.